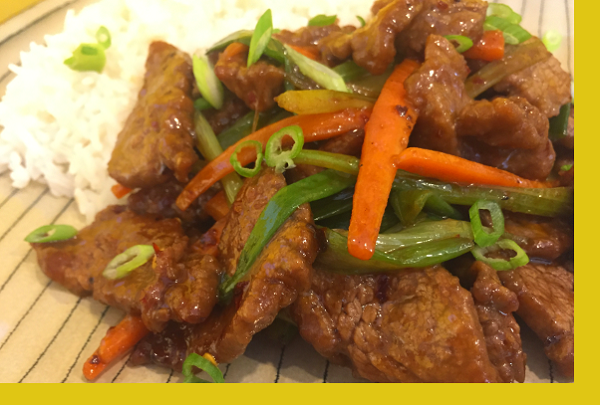 Stir fried beef in a mildly spicy Szechuan sauce topped with a medley of vegetables and served with rice. 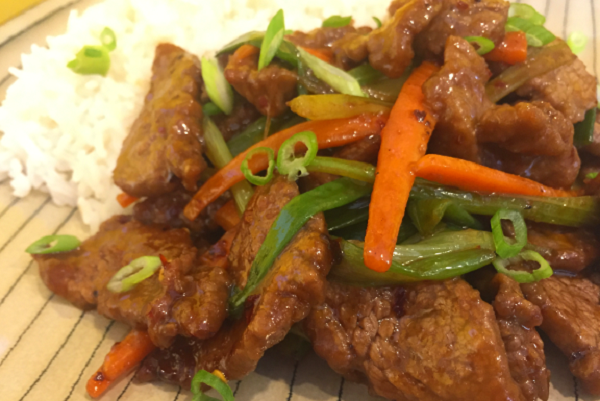 Say goodbye to take out and hello to fresh homemade Szechuan Beef. 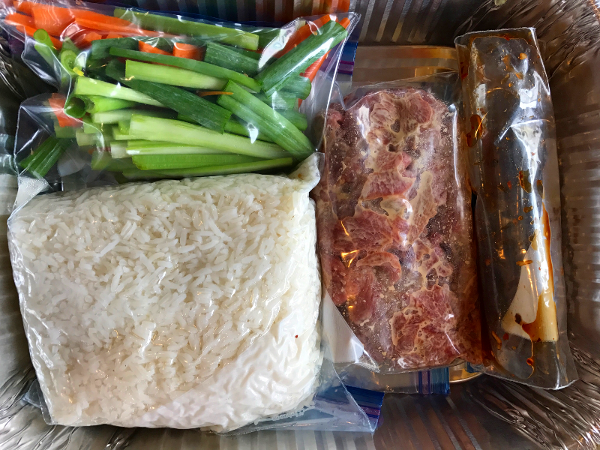 Pour the marinade into meat and marinate for 10 minutes. Cover a large saute pan with oil and heat on medium high heat. Cook meat in batches for 2-3 mins then remove. Add more oil as needed. Add vegetables and saute for 2 mins stirring often. Add sauce and cook 1 min until slightly thickened. Add beef back in and coat in sauce. Remove and serve with reheated rice.